Want to become a personal trainer? Break away from the pack with a ground-breaking personal training course from Sage Institute of Fitness, Sydney. Call 1300 664 664. Want to become a personal trainer? Break away from the pack with a ground-breaking fitness instructor course from Sage Institute of Fitness, Sydney. Do you have what it takes to change people’s lives and inspire them to reach new heights with their fitness, nutrition and wellbeing? Do you like to have fun while you work and work out? Do you want to learn how to manage the clientele of a fitness business with a qualification in management? Are you ready to become the new breed of personal trainer for a new era in fitness, the new type of personal trainer that the industry is demanding? If this is you, then you need to call Sage Institute of Fitness Sydney straight away! Sage is a government-approved Registered Training Organisation (RTO) and has an unrivalled reputation across Australia for the outstanding quality of its graduates. This is your opportunity to transform your career and make a real difference to people’s lives because Sage Institute of Fitness is now offering its cutting-edge personal training courses in Sydney. 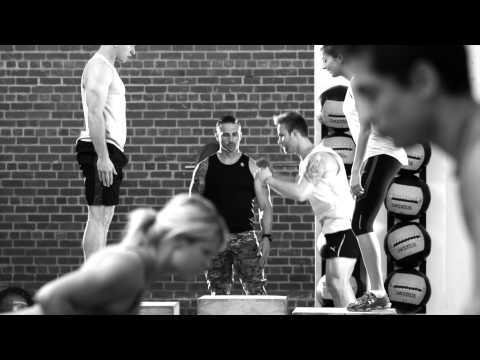 The Sage Diploma of Fitness Coaching is government-accredited and utterly unique to Sage Institute of Fitness – you can ONLY get this qualification when you study with Sage. Sage’s curriculum for personal training is simply world-class. We have worked with fitness experts, academics and leading practitioners to understand the needs of a highly dynamic, fast-growing industry. Our fitness courses will prepare you better than any other for an exciting, successful, rewarding career as a professional personal trainer. Our curriculum will not only teach you the very latest techniques like Dynamic 3D movement, multiplaner training, strength through space, group training and more. To master an art, you must learn from the best. Our fitness instructors are among the finest in Australia and will empower you with all the tools, knowledge and confidence you need to instantly transition from student to professional personal trainer on completion of your personal training course. Study to become a personal trainer on a schedule that suits you: our Sydney fitness courses are conducted full-time during the week, or part-time in the evening and at weekends, whatever works for your busy lifestyle. Our Diploma of Fitness is VET-FEE HELP approved. Why pay now when you can pay later? Call 1300 664 664 now to find out if you’re eligible. Our exclusive Career Partner Network will springboard you to a new career on completion of your fitness course. Our dedicated Career Agents are constantly seeking out new opportunities to expand our network with new gyms, personal trainers and studios. It’s a fantastic opportunity for you to obtain practical, professional experience with real clients and superb preparation for your new career ahead. There’s no need to wait! We have regular in-takes throughout the year – call now to find out if you’ve made the cut for our next available course. Why be good when you can be exceptional? Experience the new ground-breaking Diploma of Fitness Coaching from Sage Institute of Fitness Sydney and begin your new career as a personal trainer. Call our expert Career Advisors now on 1300 664 664 to discuss your requirements and find out more about our personal training courses.